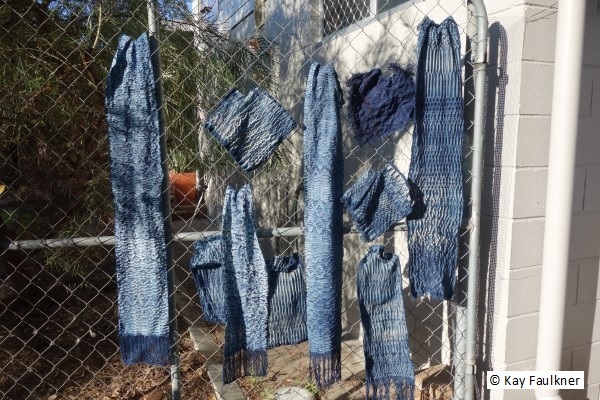 This woven shibori class will explore the great diversity of woven shibori both in the warp and weft. 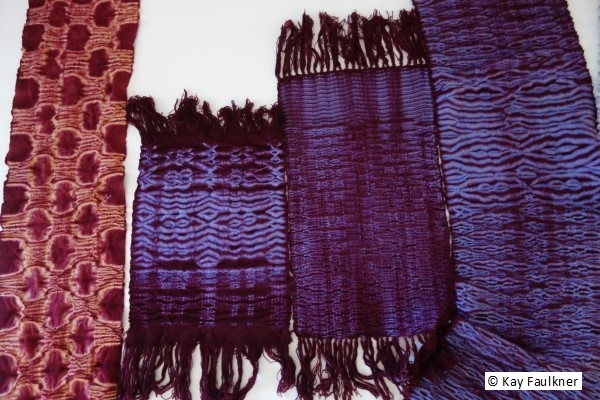 A variety of yarns, weave structures and dye processes will be offered. Looms will be set up prior to class to allow for maximum experience. 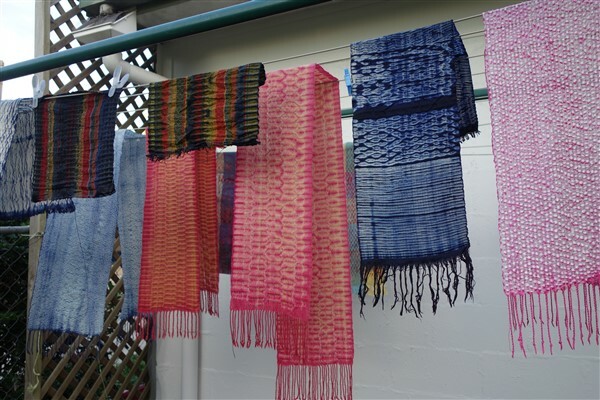 Weaving will commence on day 1 without the necessity of winding warps or threading looms. 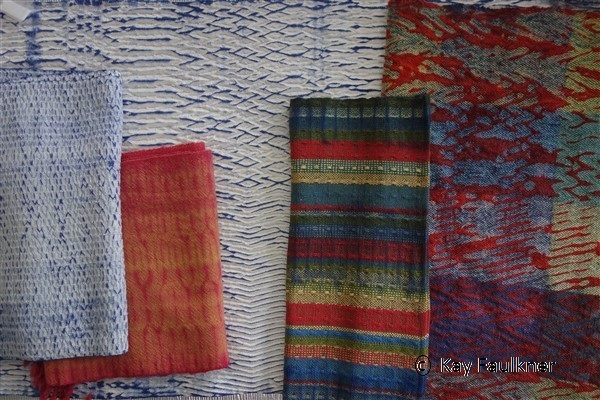 Predominantly 8 shaft looms will be used though there is also the option of experiencing weaving on any of the other looms in the studio including 16 shaft computer assist and drawloom. 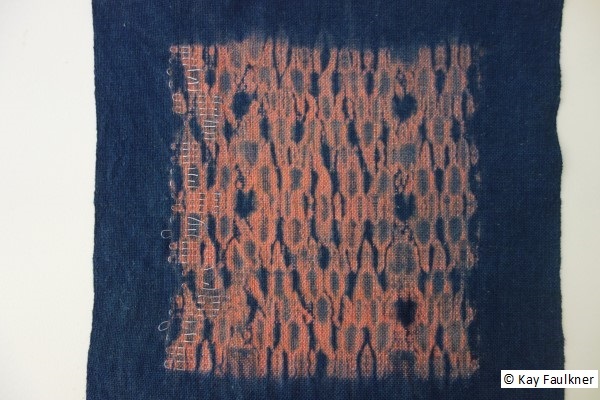 The theory of woven shibori. 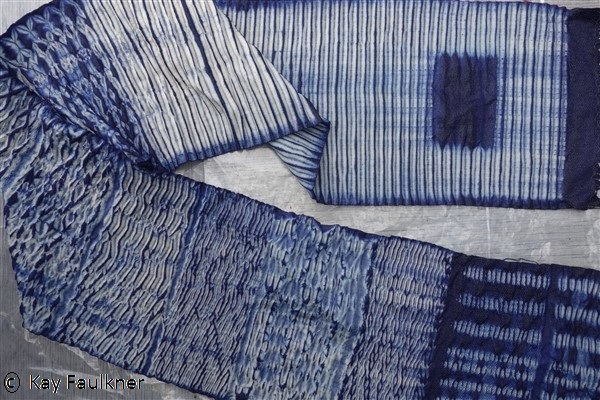 Designing with woven shibori and its application for different purposes. 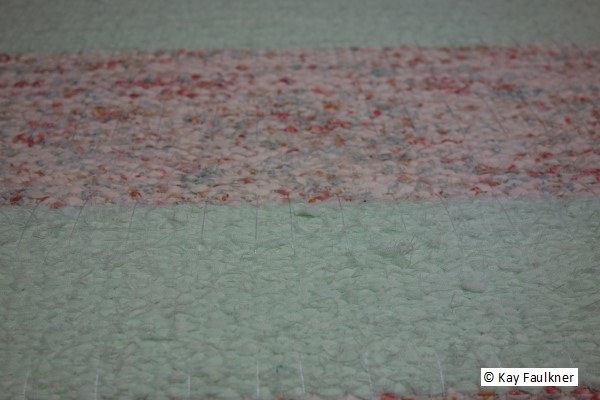 How to wind a warp with resist and dress a loom. 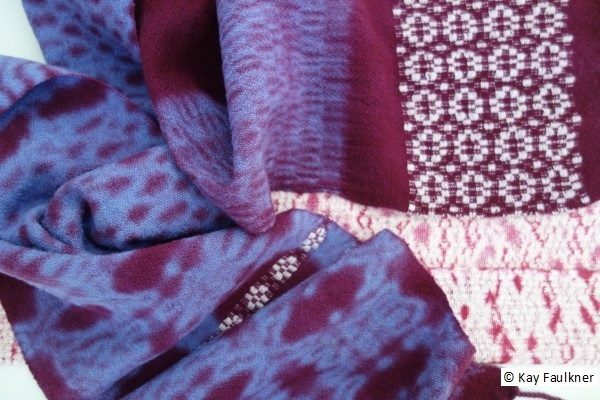 Weaving warp and weft shibori and different design approaches. 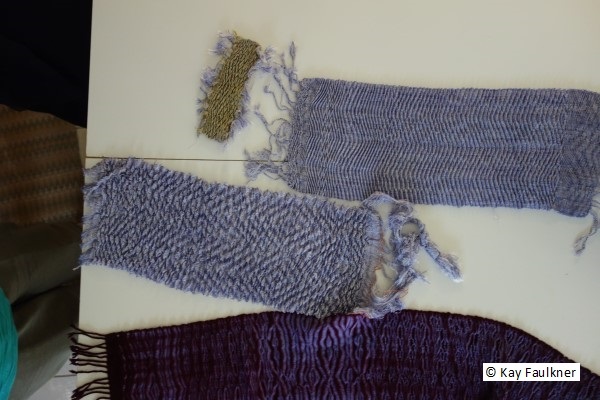 The interaction between fibres and dye processes. 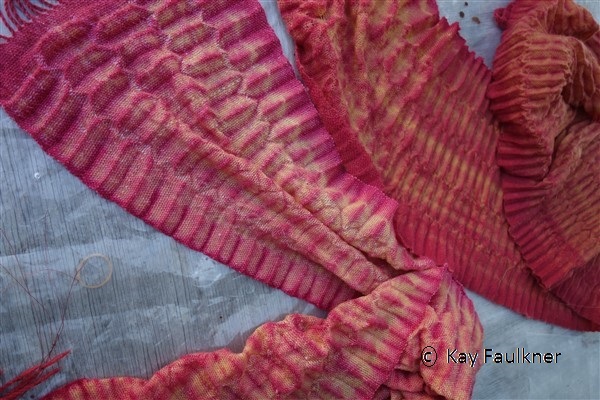 Dyeing with different processes. 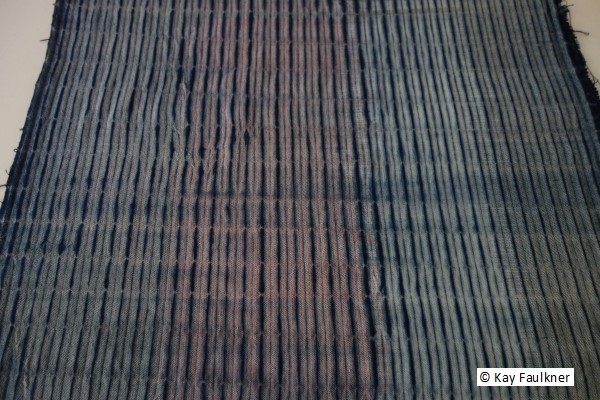 Some options include fibre reactive cellulose dyes, acid dyes, discharge, indigo. 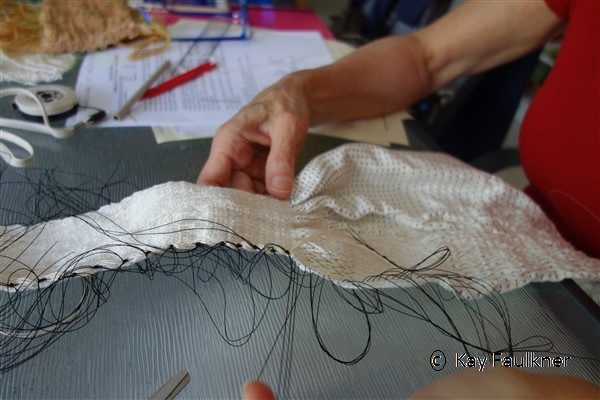 Documentation for each weave structure and specifications will be provided to accompany samples. Students will take home samples and/or small projects. All weaving equipment is provided: shuttles, warping board and mills, bobbin winders, threaders etc. 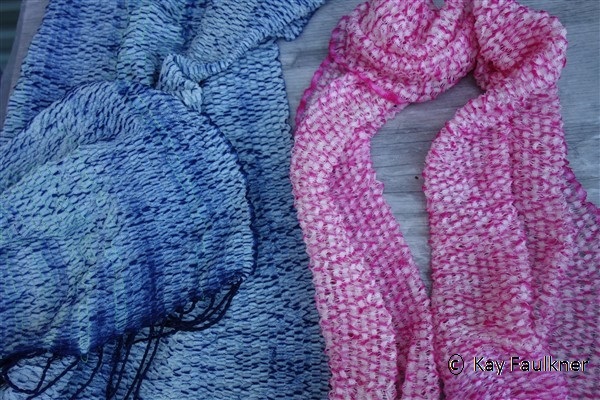 All yarn for sampling for first 3 days. 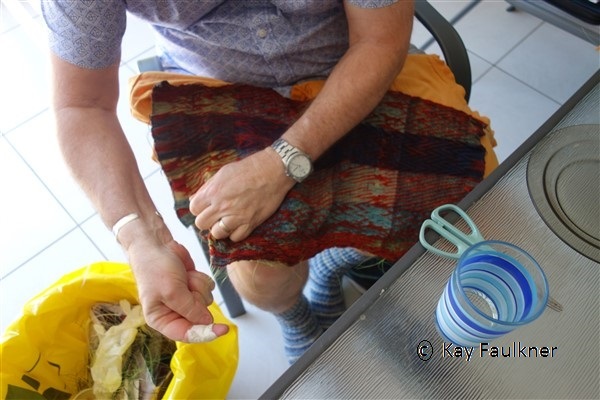 If you wish to weave your own project, you will need to supply your own yarn. Please discuss with Kay prior to the workshop. Accommodation list available on request. Please email or phone Kay to reserve your place. For any weaver who wishes to work on 16 shaft computer assist loom, they may negotiate a project/sampling on this loom exclusively. 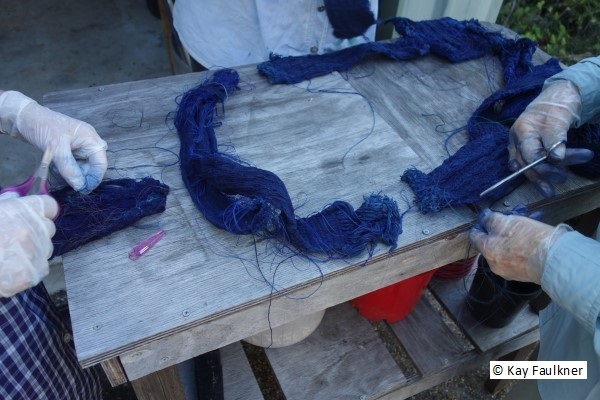 They will be required to warp and set up the loom for their particular project. Cost negotiable.